26 Feb Do I Need A Filling Or Crown For A Cavity? Do I Need A Filling Or Crown For A Cavity? The number of possible dental treatment options for any one challenge can be numerous, and confusing. It’s normal to have questions about your options when it comes to your dental care, so Rinehart Dentistry in Pawleys Island makes it easy to understand the next steps with the care of your teeth. When a cavity develops, your Georgetown dentist may recommend a filling or a crown. Knowing which option is best suited for you, starts with knowing the difference between the two treatment options. A dental crown is a prosthetic tooth made of ceramic or porcelain. The crown fits directly over your existing tooth, protecting it from further decay or nerve damage. Your Pawleys Island dentist may opt to use a crown if your tooth is badly decayed to ensure the remaining tooth is not lost due to fracture. Crowns are splinted together to become dental bridges to replace missing gaps between teeth. Crowns are an affordable permanent dental option that are easy to clean. A significant discount in the cost of treatment comes along with Rinehart Dentistry’s Clean Team Savers Club. Crowns are needed in the case of severe dental decay, but dental fillings are used to restore individual teeth that show small amounts of decay. A dental crown and filling differ in how they are implemented. A crown is essentially a cover, or protector, for your tooth. When your dentist completes a crown preparation, the tooth is reduced in height and around all sides and a solid cover is then cemented over the tooth to completely replace the removed structure and leave the tooth stronger than it was prior. When a filling is complete, however, the dentist will remove all of the tooth decay add an increment of filling material to fill the void. The new structure is as functional as the original tooth, but is weaker than the tooth was originally. A filling can be created from a number of materials, including amalgam, porcelain, gold or resin, which looks like your natural teeth. Cavities are most frequently treated with a filling, but in cases of serious tooth decay a crown or a combination or a filling and crown may work better. Do I Need A Crown Or Filling? One of the best ways to prevent the need for a crown or filling due to tooth decay is to schedule your regular dental appointment. 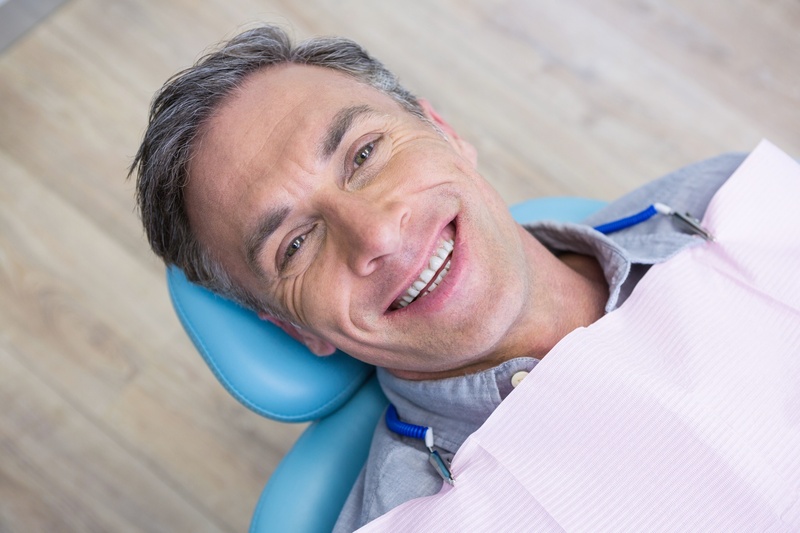 A routine dental checkup allows your dentist to notice any possible problem areas and put a dental care plan in place before a cavity forms or worsens. Don’t allow a lack of dental insurance stand in your way of a healthy smile. The Rinehart Dentistry Clean Team Savers Club allows your entire family to have good oral health while keeping you within your family budget.